This June 17, at the French city Le Mans 85 start time of the legendary 24-hour endurance race. 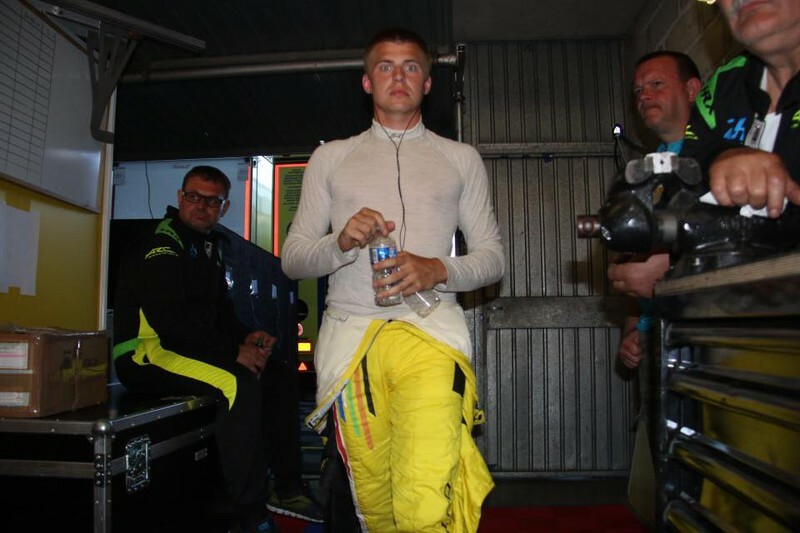 For the first time the list of participants see also Latvian representative talented racer Konstantīns Calko. Currently, 23-year-old spent Calko active in autosport for 15 years, his career goal has always been starts Le Mans 24-hour race. The 2016 season Calko participated in the endurance championship Asian Le Mans Series, where a good performance in the final test LMP3 prototype helped the ARC Bratislava Slovak team win the possibility to participate in the Le Mans 24-hour race. Common turn the final test in the first qualification run was the fastest-known Japanese Kamui Kobayashi, who represent the strongest LMP1 class units Toyota Gazoo Racing unit. Former Formula One (F-1) pilots track laps conducted three minutes and 18.793 seconds. A common assessment of the ARC Bratislava team was 25rd fastet between 60 units. On Thursday, the participants played the other two qualification runs, and after that had been established the starting sequence of the race, which will start on Saturday 06.17., races will end Sunday. Before significant startup ARC Bratislava acquired new LMP2 prototype tests Ligier LS P217 and has already carried out a number of test day at Monza and Slovakia Ring race track. Konstantīns words before the start at Le Mans really makes hope for a very good performance: "LMP2 prototype is about 600 horsepower powerful engine and tangents a top speed exceeding 300 km / h. Acceleration, braking and aerodynamics here already extreme level. Optimal cornering track can make even with 270 km / h high speed, while the stop is the maximum rate of one a few tens of meters. This target on behalf of the family support I have worked since karting times. An insistence on concentrating on Le Mans 24 hour race has finally brought the expected fruits of the people have joy and pride, that we can be the first to represent the Latvian flag colors in this legendary race. In front we have very difficult path, but I hope that we will be able to fight with teams from more sophisticated! " Keep track of Konstantīns Calko routine Le Mans 24-hour race will present updates from race on his Facebook page: www.facebook.com/CalkoRacingDriver and also on his Instagram profile: www.instagram.com/kcalko. In turn, the nominal value more Le Mans 24 information can be found here: www.lemans.org/en. We keep fingers crossed and wish great success to Konstantīns in track! Mēs piedāvājam individuālus, komerciālus un biznesa aizdevumus ar ļoti minimālām ikgadējām procentu likmēm, kas ir 3% no 1 gadu līdz 50 gadu ilgam atmaksas periodam uz jebkuru pasaules daļu. Mēs izsniedzam aizdevumus no €10,000 līdz €10,000,000.00. Mūsu aizdevumi ir labi apdrošināti, lai nodrošinātu maksimālu drošību, ir mūsu prioritāte. Ieinteresētajām personām vajadzētu sazināties ar mani pa e-pastu zemāk. Piezīme. Lai saņemtu plašāku informāciju, visi e-pasta ziņojumi jānosūta uz mūsu e-pastu sloanslimited@gmail.com. Oficina registrada: 100, Austin, TX 78759. Gracias por esperar su pronta respuesta. Отличный хостинг изображений и фотографий! Vai jūs meklējat cienījamu un akreditētu privāto aizdevumu sabiedrību, kas sniedz aizdevumus dzīves laikā iespēju. Mēs piedāvājam visa veida kredītus ļoti ātri un vienkārši, personīgo aizdevumu, automašīnu aizdevumu, studentu aizdevumu, biznesa aizdevumu, investīciju aizdevumu, parāda konsolidāciju un daudz ko citu. Vai jūs esat noraidījis bankas un citas finanšu iestādes? Vai jums ir nepieciešams konsolidācijas aizdevums vai hipotēka? Meklējiet ne vairāk, kā mēs esam, lai padarītu visas jūsu finansiālās problēmas par pagātnes lietu. Mēs piedāvājam aizdevumu no 5000 eiro līdz 50,000,000 eiro ar ļoti lielu aizdevuma procentu likmi 2% apmērā. Sazinieties ar mums šodien, izmantojot mūsu e-pastu tagad, un mēs priecāsimies par jūsu finansiālajām problēmām un pagātnes lietām. Nepieciešama kredīta pārbaude, 100% garantēta.